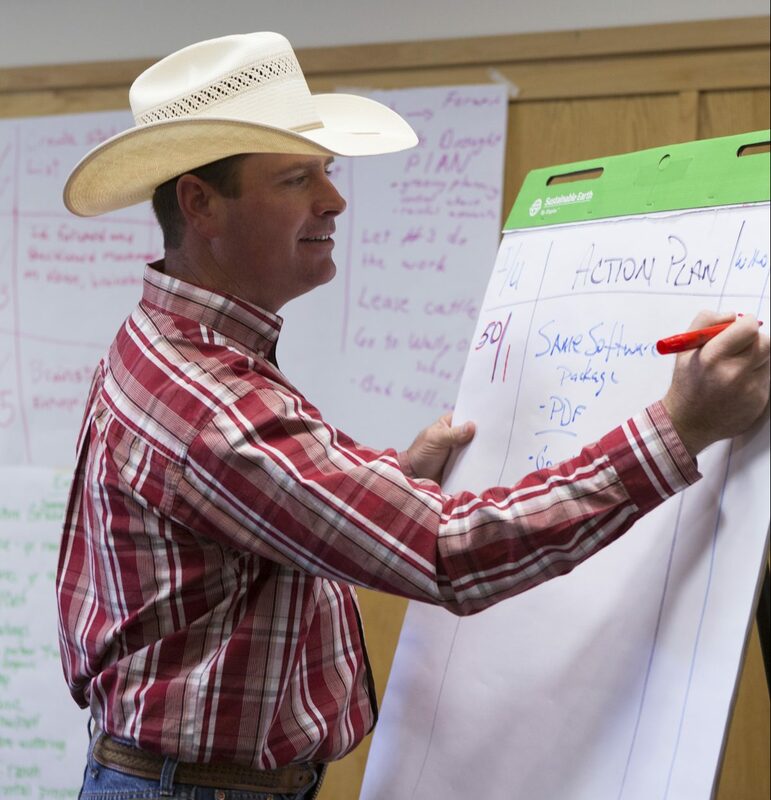 University of Wyoming Extension agent and Ranching For Profit School instructor, Dallas Mount, recently led a management succession workshop in Baggs, Wyoming. Dallas is a gifted, innovative teacher, and I was flattered when he asked me to participate in the program. Dallas did a great job of distilling successful succession into five core areas. Deciding who will own what? I’m going to use the next five ProfitTips to share some of the pearls from the Management Succession program that Dallas led. To get on the same page you actually have to have a page! Agreements and policies need to be written down. If they aren’t documented, people cannot be held accountable to them. Actually, we need to get people on the same pages, because there are three distinct documents that every business needs. The first page is a shared vision that describes what y’all see for the future of the ranch. At the Ranching For Profit School we use a process to help people separate positions from interests and create a blueprint for the future of their ranch. The second page focuses on owner value. This page should include a description of the financial and non-monetary values the owners of your business want to receive. It should also identify specific, measurable targets and show how and when achievement relative to those targets will be measured. The third page is an outline of succession and asset transfer plans. Too often kids grow up with a sense of entitlement and an expectation that “someday this, or at least a big part of this, will be mine.” It’s probably healthier to make it clear to family members, from the time they are young, that there might be career options for them that involve the ranch. They should understand that there is no guarantee of employment. It’s unlikely that you can just create jobs out of thin air for any family member who wants to come on board. They will probably have to wait for an opening. It is difficult for them to step in unless someone else is prepared to step down. Junior must also understand that the ranch isn’t a jobs program for other-wise unemployable family members. When openings become available, they will only be filled by family members who have the skills to be successful in those roles. I’ll write more about appropriate family employment policies in the next ProfitTips. « What Would You Do With $1,000,000?